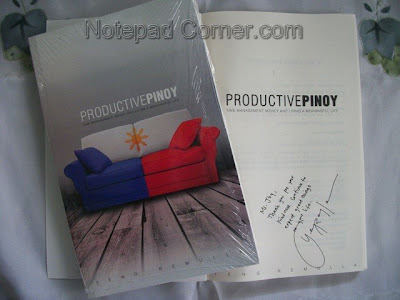 Notepad Corner: Grazie Productive Pinoy! The quotation best explains the reason why Productive Pinoy, authored by Yeng Remulla is selling like hotcakes in the market today. His witty and clever method of discussing the ways and means on how to reawaken and recreate old Filipino traits that would bring significant results is the catch to gain more readers. The book is very educational for the young minds and adults as well. 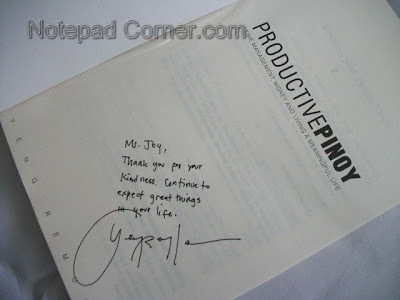 Yeng, sent me a copy of Productive Pinoy, sometime on the third quarter of 2011 and published a book review in my blog Joy’s Flair. I also bought several copies and gave them as a Christmas gift to my youngest son’s teachers in school. 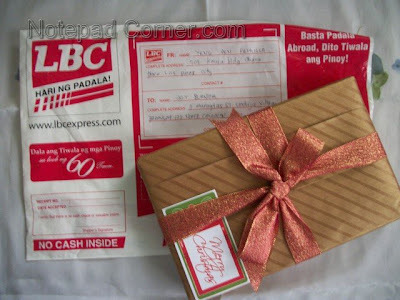 I also included it as one of the prizes in my on-going Birthday giveaway. 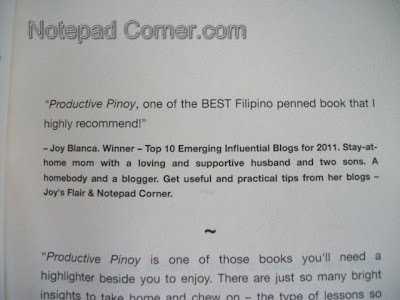 I am very happy and honored when the author emailed me asking for my permission if he can include my name and blogs in the Reviews and Thank you's section in the second printing of Productive Pinoy. My instant answer is definitely a Yes! Oh my! I am so privileged! Another 3 complimentary copies were sent to me last December 2011, with a personal autograph from the author himself. Well, this copy will be very much treasured as I will pass it on to my sons to be read and kept to let their future family read it too. Maraming Salamat po Productive Pinoy! Mabuhay! wow i think this is a good book. by the way are you interested on exchanging links? If yes, just visit my blog and leave a comment, I'll add you first.